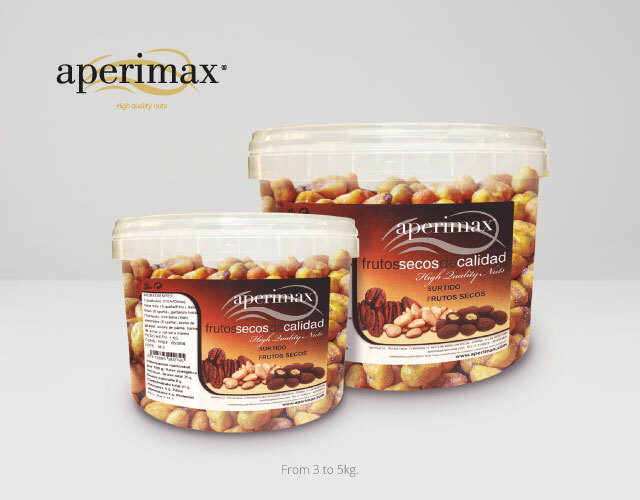 In Aperimax, we have different types of packaging of excellent quality to preserve the nuts and to maintain all its properties. 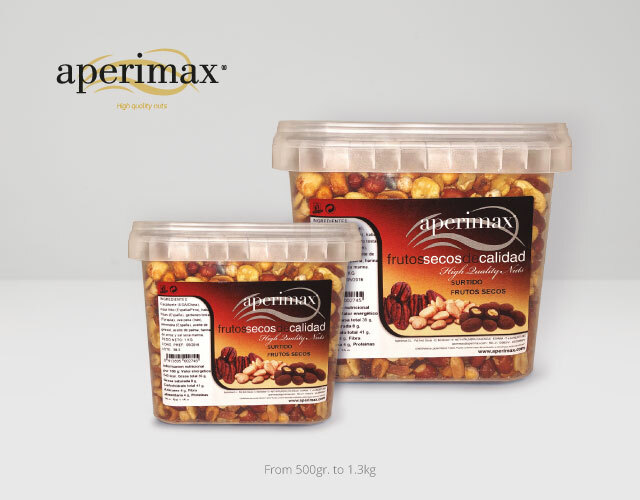 All our packaging follow rigorous processes of quality and low modified atmosphere. 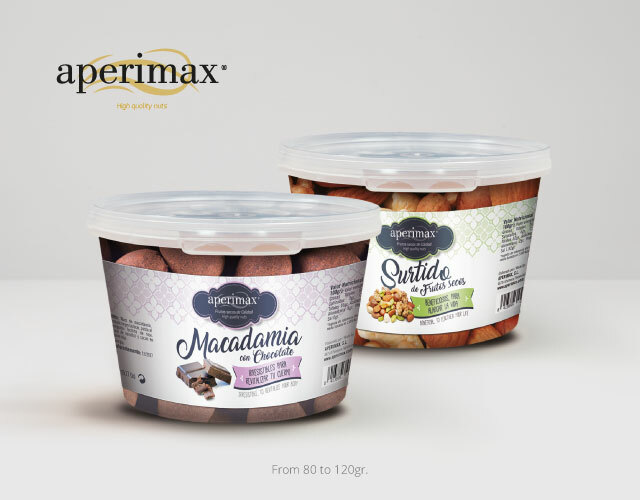 Of great versatility so you can choose the packaging that suits your needs. 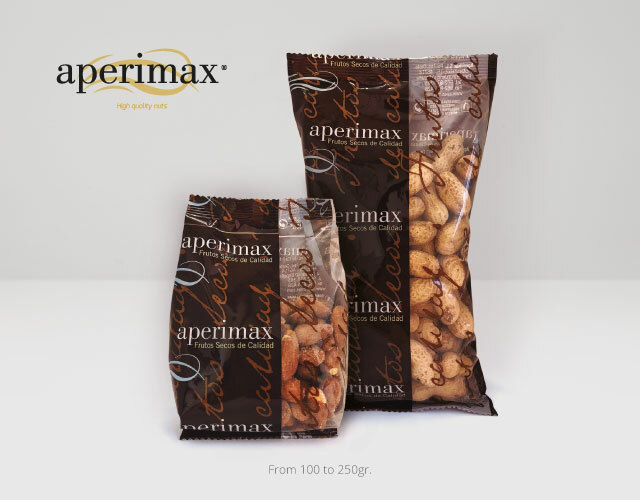 We have various formats and weight for bags, packed under quality controls and modified atmosphere. Bag supermarkets-stores from 100 to 250gr. Bag supermarkets-stores from 80 to 150gr. Hotel Stock Exchange from 600gr to 1 kg. 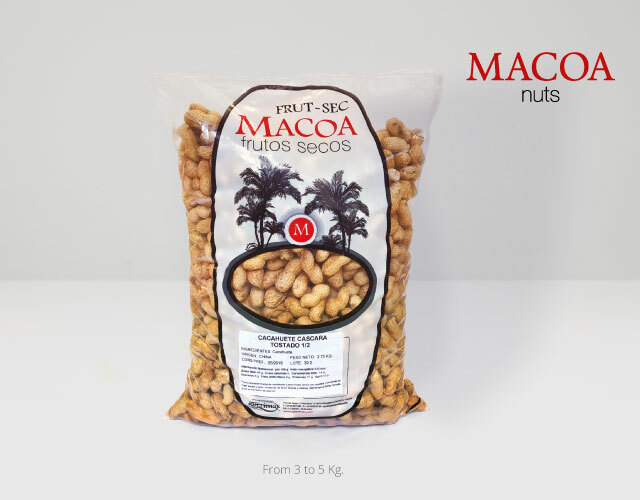 Bulk bag from 3 to 5 kg. 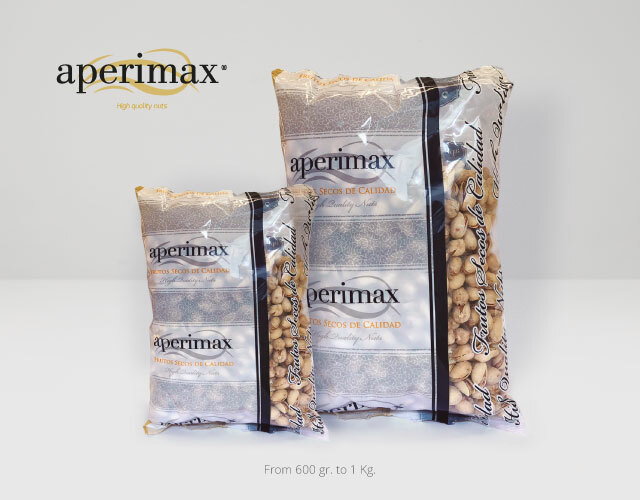 Our plastic packaging are perfect for packing and transporting our nuts in a safe and comfortable way. Hinged tubs (PET) and plastic buckets with cover of different formats and capacities. Tub (PET) from 100 to 250gr. 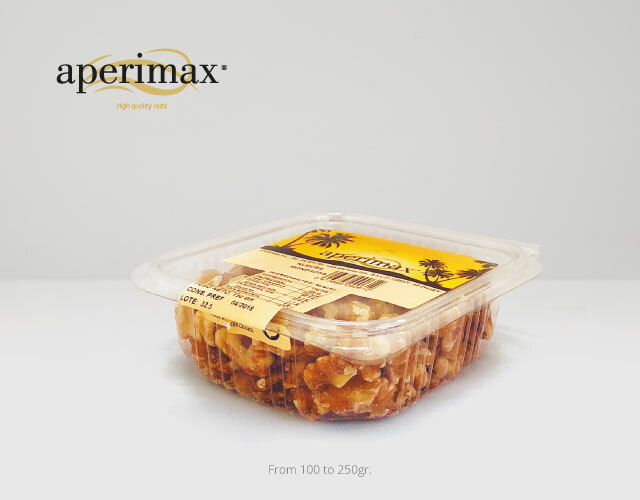 Plastic bucket with lid from 80 to 120 gr. Family Cube from 500gr to 1.3 kg. HORECA hub from 3 to 5 kg. Glass is the best container to maintain any type of food. 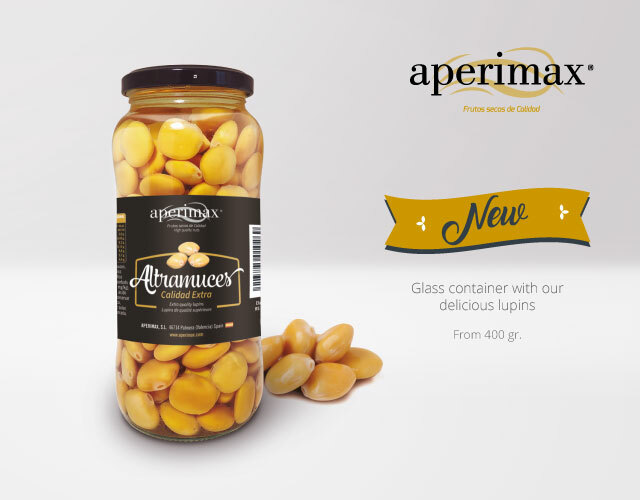 The transparency of the glass, brings higher quality to see perfectly the contents of the jar without having to open it. 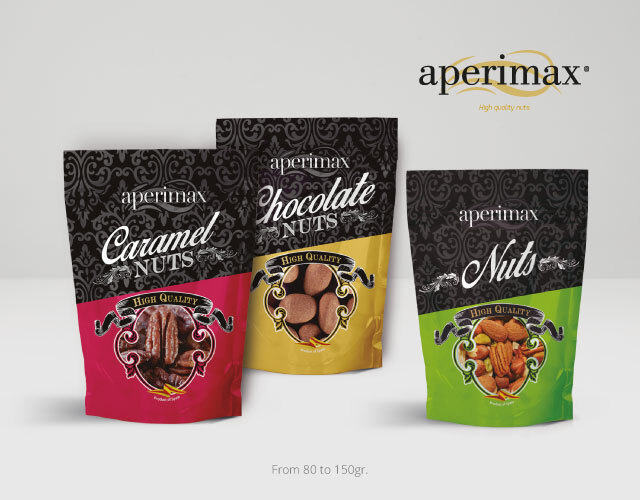 We have several formats in glass to preserve our nuts. 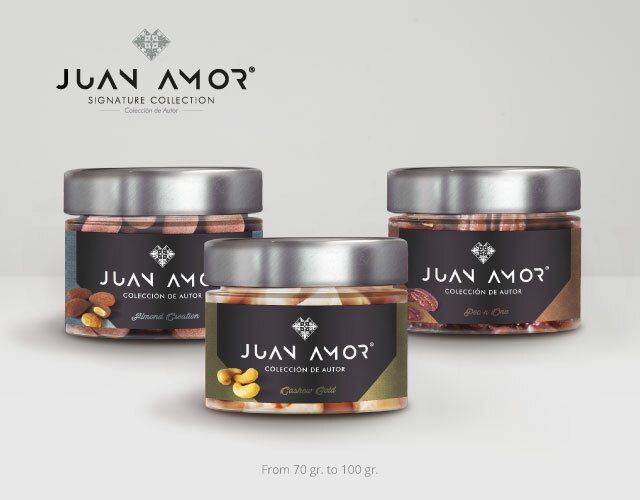 Jar Crystal Collection author Juan Amor from 70 to 100gr.